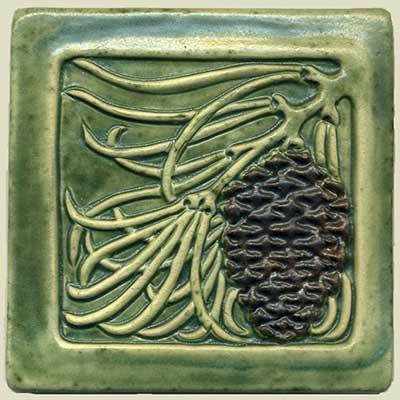 The Pine Cone Right tile measures 6" square and has a sculpted cone and needles. 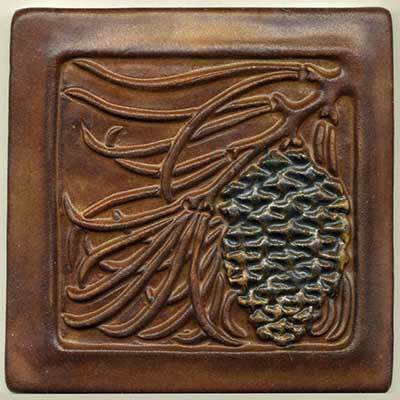 It is a mirror image of the 6" pine cone left. Choose any single color or two-color combination. 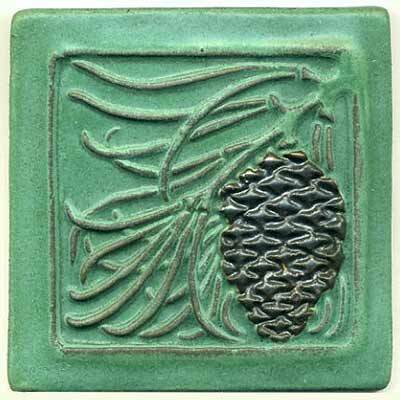 Colors shown: nutmeg background with brown-black cone; copper patina background with brown-black cone; pine green background with brown-black cone.